This excellent video overviews many SALE and special 'topic' banner signs manufactured by Signs Banners Online recently. Graphic designers, sign companies and wholesalers can upload their special signage for discount printing and sewing. The products shown for these cheap banners is mostly mesh, banner and some poly fabric. As the main factory source for custom 'big' work orders, https://www.signsbannersonline.com/ people can communicate pre-production and confirm sizes, fold over bleed for artwork setting and also see how the signage looks pre-purchase online because they also have a preview proofing system that graphic designers or freelancers can upload-convert-jpeg the online proof. It is a great way to work remotely with the factory. They also have a system that allows you to enter your custom options and download a Photoshop ready file so that the freelancer or customer can place their design onto for instant printing centers. 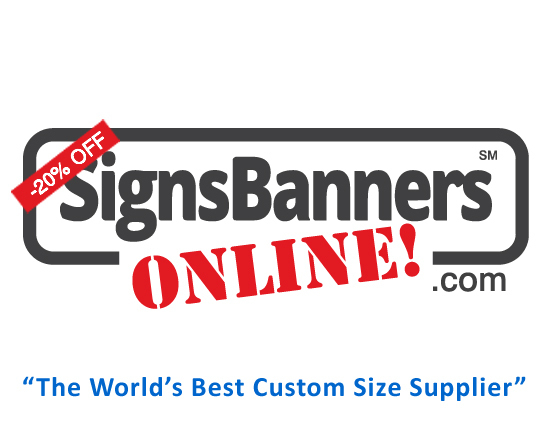 Signs Banners Online are one of the best and have many features that make graphic designers and the freelancer happier.